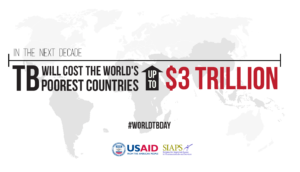 In spite of being both preventable and curable, tuberculosis (TB) remains a major global health threat. 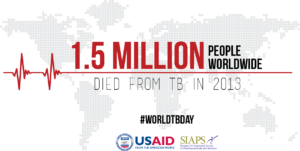 Second only to HIV/AIDS in terms of deaths caused by a single pathogen, TB killed nearly 17% of the 9 million people infected by the disease in 2013. While effective interventions led to a decrease in TB cases in the mid-20th century, a number of factors led to a resurgence of the disease through the 1970s and 1980s. The emergence of HIV/AIDS in the 1980s brought with it a significant comorbidity burden, and TB now accounts for one in five HIV-related deaths. The rise of antimicrobial-resistant pathogens has also exacerbated the threat of TB, with multidrug-resistant tuberculosis (MDR-TB) accounting for 5% of TB cases globally, and up to 35% of TB cases in some parts of the world. 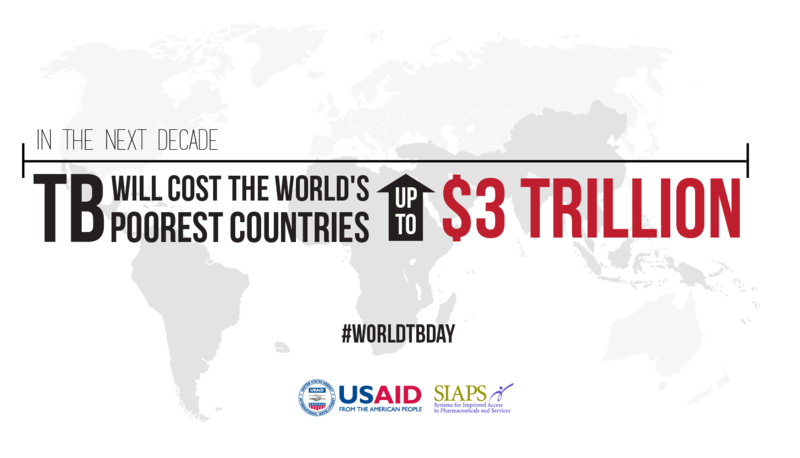 The USAID-funded SIAPS program has developed two tools to aid in increasing access to and monitoring TB treatment. QuanTB, an electronic forecasting, quantification and early warning tool, helps governments and health facilities monitor supplies of TB medicines to avoid stock-outs and ensure that patients will always have access to the treatments they need. On the case management side, e-TB manager helps to manage key information needed by national TB control programs, integrating data across all aspects of TB control, and tracking information on suspects, patients, medicines, laboratory testing, diagnosis, treatment, and outcomes. Assessing the TB pharmaceutical management system in Uzbekistan, and piloting QuanTB in Uzbekistan and Tajikistan to help ensure the uninterrupted supply of anti-TB medicines in these countries– two of 27 high-burden MDR-TB countries in the world. Inspecting warehouse conditions and facilitating pharmaceutical system infrastructure improvements to help improve access to TB medicines and prevent stock-outs in the Dominican Republic. Implementing e-TB Manager in Ukraine to improve TB case management at a national level and increase adherence to national standard TB treatment guidelines by enabling more efficient data collection, processing and monitoring. Releasing QuanTB 2.0, which includes a number of improvements on the original QuanTB program based on user feedback, now allowing users more flexibility in designing regimens. QuanTB 2.0 is also integrated with the Stop TB Partnership Global Drug Facility’s early stock-out warning system as a part of global forecasting for anti-TB medicines, and is available in 6 languages: English, Russian, French, Spanish, Portuguese, and Chinese. Using QuanTB to reveal a potential overstock of TB medicines that, without action, would have led to substantial medicines expiry. 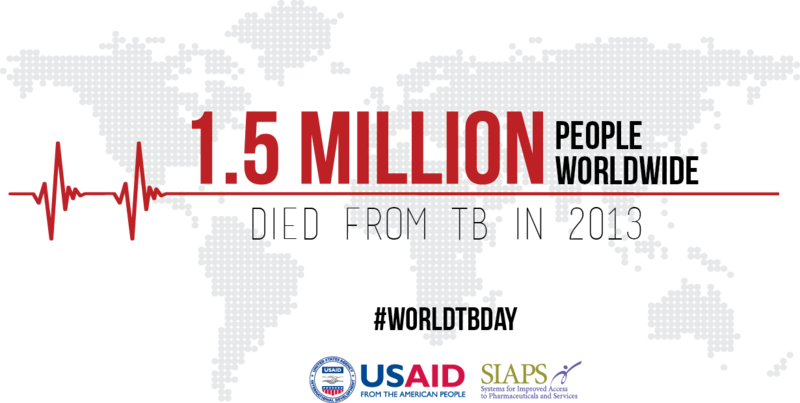 Using this information, SIAPS collaborated with the NTP, World Health Organization, and local partners to cancel more than 1.5 million doses of TB medicines and reallocate an additional one million doses to other countries in the region, saving the NTP and donors $899,976. Training National TB Program staff and partners from 12 countries to use QuanTB for medicines management and as an early warning system to signal impending stock problems. Following training, a number of countries reported to SIAPS on their use of QuanTB. Within the first six months, the percentage of countries that experienced a stock-out of at least one first-line TB medicine decreased from 80% (4/5) to 0% (0/5), while the percentage of countries that had a stock-out of at least one second-line TB medicine decreased from 50% (3/6) to 17% (1/6). Overall, the percentage of countries that had a stock-out of at least one TB medicine decreased from 100% (6/6) to 17% (1/6). SIAPS technical staff also had the chance to present their work at the 45th Union World Conference on Lung Health in Barcelona (November 2014) and cosponsored helped to organize the March 2015 Global TB conference in Bangkok with the Stop TB Partnership Global Drug Facility. Drug Use Reviews—A Practical Strategy to Ensure the Rational Use of Anti-Tuberculosis Medicines: A manual intended to aid local health professionals in developing and conducting drug use reviews to ensure the best use—and continued efficacy—of TB treatments. Preventing and Minimizing Risks Associated with Antituberculosis Medicines to Improve Patient Safety: A guide to planning and implementing risk-reduction strategies in the treatment of TB. Optimizing medicine safety for HIV and TB patients: An active surveillance approach: A poster on ensuring treatment safety in areas with high HIV and TB comorbidity. Understanding private retail drug outlet dispenser knowledge and practices in tuberculosis care in Tanzania: An assessment of training and resources available at retail drug outlets in Tanzania.